Founded in 2006 by Meichelle Arntz, Angels Foster Care has placed over 230 infants and toddlers in stable, loving Angels foster homes. Meichelle became involved in foster care by volunteering as a Court Appointed Special Advocate (CASA) in Santa Barbara County, where she learned firsthand about local foster care, dependency court and the challenges faced in providing foster care to approximately 500 community children, many under age three. Meichelle was assigned two young brothers and followed them through seven placements in her first year as a CASA. Imagine these little children moving seven times in one year, living with strangers and having no family and friends to count on. That is what Jack and Sam experienced right here in Santa Barbara County. Their emotional, physical, and psychological health deteriorated. Meichelle realized that there had to be a better way, and now there is. One stable, loving home with no change in placement. Only one foster child or sibling set per home. Psychological screening and high standards applied to Angels parent applicants. Angels staff attend court for our children. Angels social workers are experts in the needs of babies and toddlers holding high degrees as licensed clinical social workers and masters-level entry position requirements. Angels Foster Care operates as a Foster Family Agency (FFA) licensed by the state of California to operate in Santa Barbara County and Southern San Luis Obispo County. 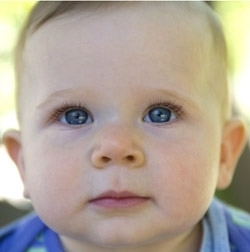 We are a non-profit (501c3), private agency with offices in Santa Barbara and Orcutt, and serve local children newborn through age three, and siblings up to age five.